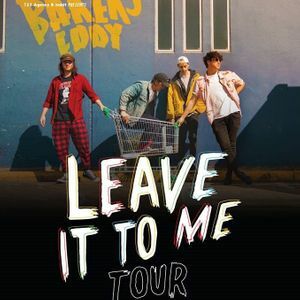 Melbourne Punks Bakers Eddy and Bad Juju are stepping out on tour this April, solidifying their place on the list of iconic duos, next to PB and J and Drake and Josh.Both the Bad and The Eddy shared a successful 2018 with Bakers earning themselves high rotation on Triple J following the release of their single "Leave it to Me", which led to the boys winning a spot on Falls Festival, Lorne, courtesy of Triple J Unearthed. Juju's accomplished high rotation off the back off their knockout single "Moving On, as well as jumping on the road with names such as Trophy Eyes, Dream on Dreamer and Colombus.Both bands dropped EPs last year which set them up for a steamer of a Twenty 19. With big things to come for both bands, heading out on the road together is the perfect way to kick things off .